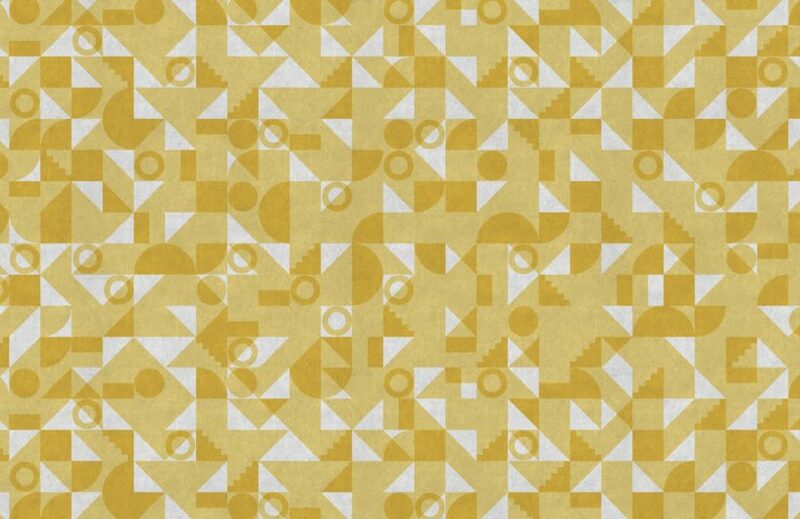 If you love cool geometric shapes and creative interior design, check out the Modern Yellow Bauhaus Geometric Tile Effect Wallpaper Mural. 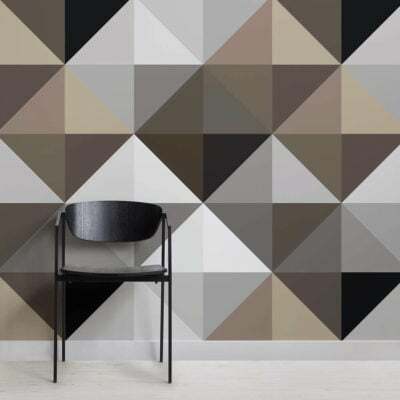 With a contemporary style this unique design features over laying geometric shapes combined in a layered tile effect to create an intricate mural. 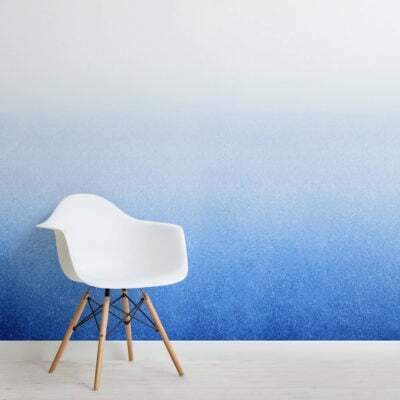 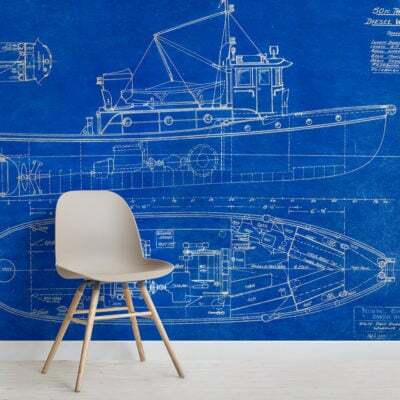 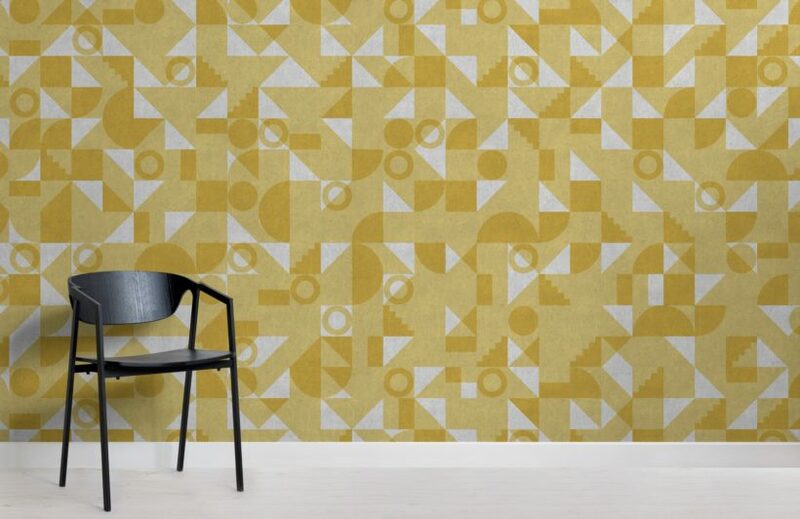 Inspired by the bauhaus style of combining simple lines and shapes in primary tones, this geometric wallpaper will be sure to create a bold feature wall. 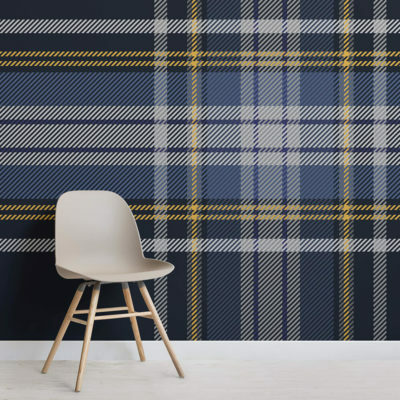 Available in four colours to match to your interior theme, whether that’s in your dining room, living room and more.